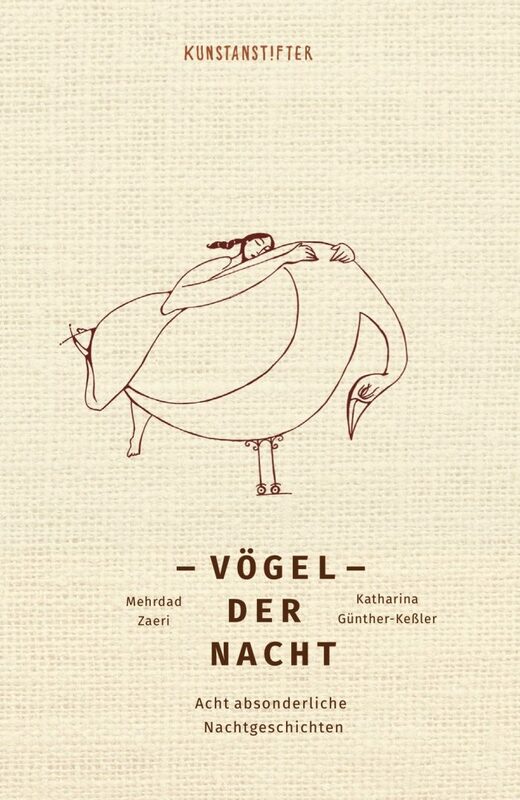 Katharina Günther-Keßler tells these stories in a brutally honest, profound, humorous yet gentle manner. 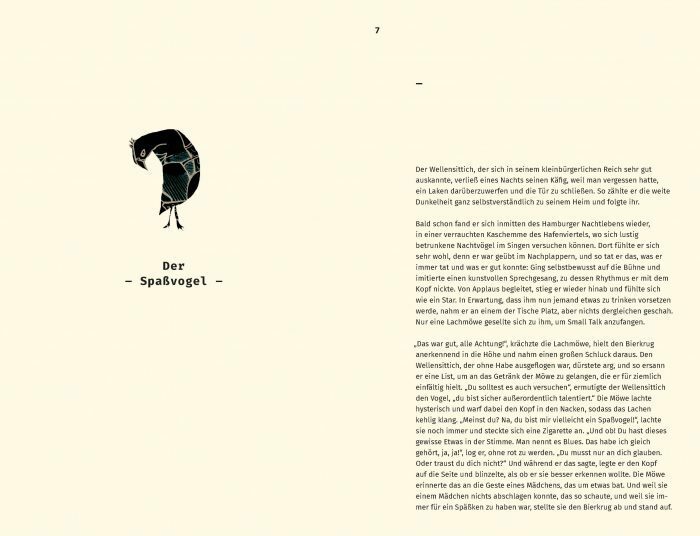 The book contains eight very human tales of Nightbirds, their pitfalls, needs and conceits. 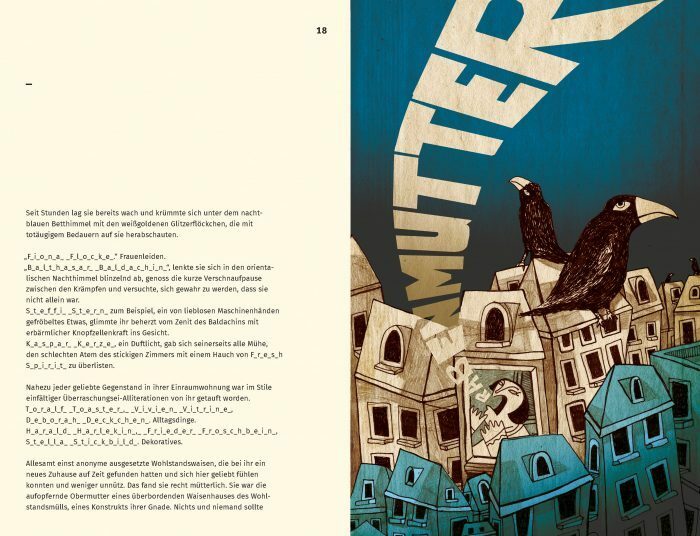 These odd birds have one thing in common: the metropolis is each one’s stage after dark, the place where they, out of sight of others, perambulate in the extensive of their own fantasies, expressing their secrets and desires. 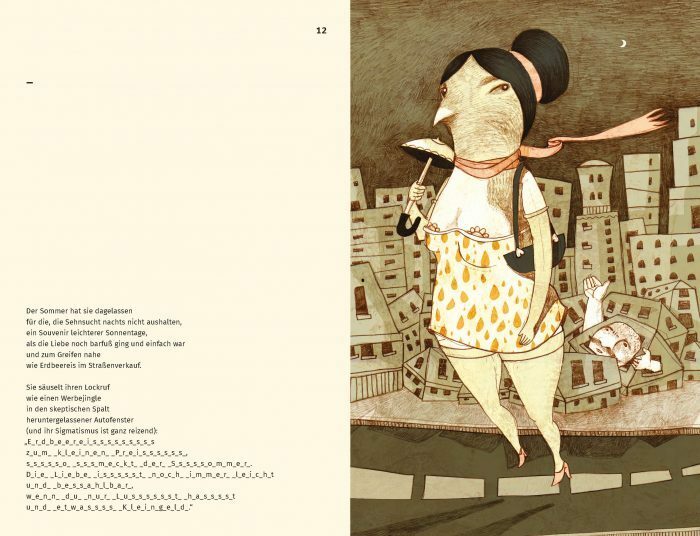 The texts, both in verse and prose, are accompanied by poetic illustrations by Mehrdad Zaeri.